In the Bowl: Bathroom Garden Getaway! | Shits and Giggles: A Seattle bathroom tour! In the Bowl: Bathroom Garden Getaway! If you haven’t been to this bathroom, I strongly recommend occupying it soon! I haven’t seen or heard anything like this one. In the Bowl is known for spicy food (I’m a 4 star spice kinda guy, but here I take 2) and great vegetarian options. The menu is a pleasure in itself with it’s odd word usage and using the term “Episodes” for courses. Always provides a chuckle when you see the names of dishes. 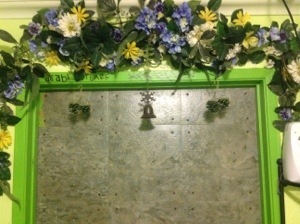 When you walk in the bathroom, you will hear the lovely sounds of birds chirping away. Your eyes feast on the lush plants placed all over the walls and surrounding the fixtures, toilet and sink. You are entering a forest, so now do your business in peace! 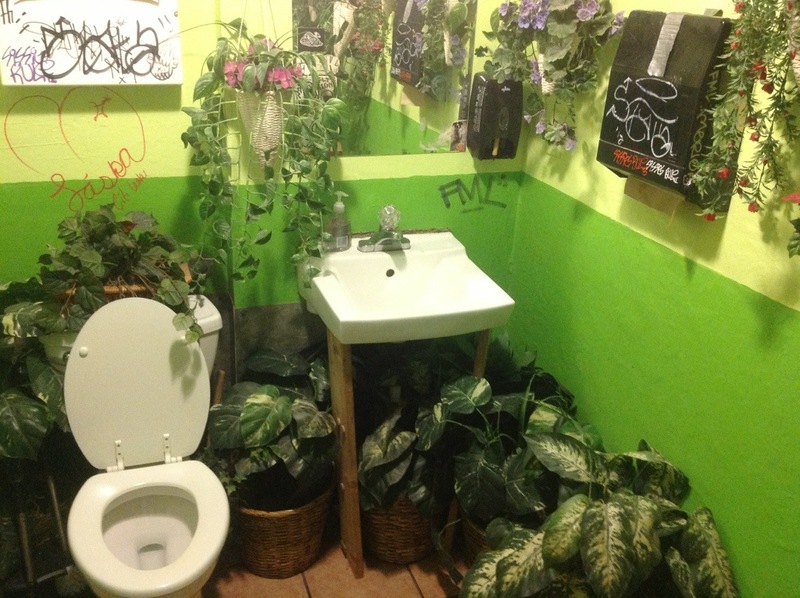 The sounds and plastic plants provide so much relaxation for your bathroom pleasure! It’s where you have always wanted to drop the kids off at the pool right? This entry was posted in reviews and tagged garden, garden paradise, getaway, in the bowl, reviews, Seattle, shits and giggles, toilet. Bookmark the permalink.